Can I send a URL from a Home Automation system? I'm trying to do something through my home automation system on my Android media player, where I have to get it to play a specific video from a URL. I have the URL and if I send it from the webinterface, the player will ask which program to open the URL with. Is this functionality possible to do from a home automation system? I know the feature is there, because I can send it from the web interface, but can I do it from a 3rd party system? Re: Can I send a URL from a Home Automation system? Do you mean you want to send a URL to your home automation system via AirDroid? Or you want to send the URL to somewhere via a 3rd party system (do you mean the home automation system)? Like from the web interface of Airdroid, where I can put in a URL, in the box to the right, and send it to my device. Is it possible to do the same thing, but send it from my Home Automation system to Airdroid? I understand I need to program my Home automation to do something, but is it possible for a 3rd party to execute/send a URL to the Airdroid service? The URL I can send from the toolbox. I want to use that feature, but I want to send a link from my home automation system. How is the URL forwarded to the Airdroid service? And can I do it from my home automation system as well? AirDroid Web and your Android will share the clipboard, texts/link in the clipboard of AirDroid Web will be synced to your Android phone's clipboard and vice versa. I'm afraid that the feature you mentioned is not supported now. 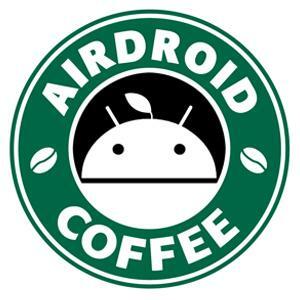 AirDroid's api hasn't be released yet. BTW, why you need to send the link from your home automation system to your computer? It is to use it in a store, so we can start a specific video at a specific time, without having to first navigate through android to find and open the app, find the video and then start it. I am looking for a way to send SMS messages from a program on my PC. Since it is not the intention to send high volumes of SMS's buying a separate SMS hardware device is not an option. Therefore I want to use an old android phone, just for this task. The idea is that the mentioned program runs autonomous during the night and that it can send an SMS when it is completed, alerting me in the morning about any irregularities. The program can communicate using HTTP commands or it can go one level deeper and read from and write to sockets.directly. Can you tell me what commands I need to submit to accomplish what I want? Is there an Airdroid API or can you give me some clues on how to proceed?